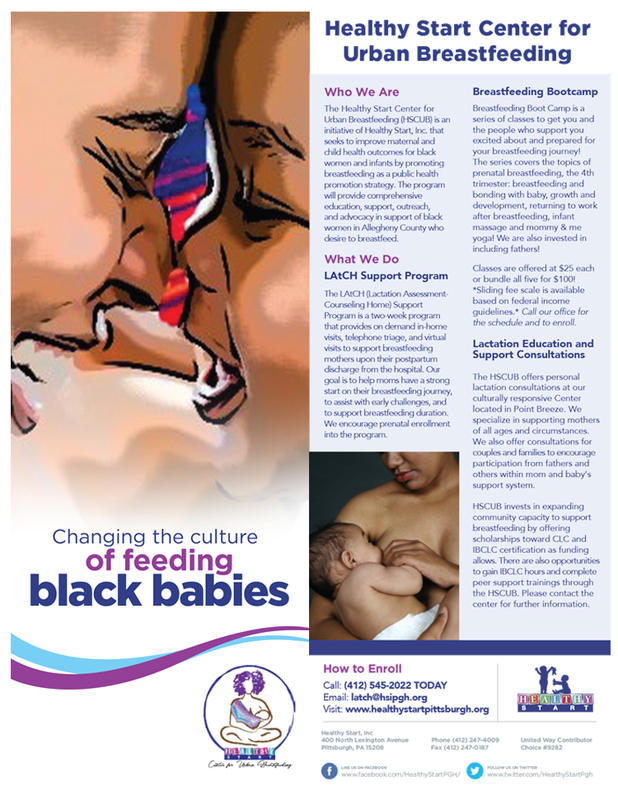 Healthy Start Center for Urban Breastfeeding (HSCUB) is pleased to provide lactation support, education, advocacy and outreach to black women in Allegheny County. Are you having pain with breastfeeding? Difficulty with latch? Questions about milk supply? Require assistance in making your decision to breastfeed? Need a confidence booster or assurance that you are on the right track? – We are here for you! HSCUB has various program options to meet your needs. Our support team consists of Certified Lactation Counselors (CLCs) who have access to an Internationally Board Certified Lactation Consultant (IBCLC). We hope to help you make informed decisions throughout your breastfeeding experience by helping you to achieve or even surpass your breastfeeding goals. HSCUB has launched the LAtCH (Lactation Assessment Counseling Home Support) Program! This intensive, two-week, comprehensive breastfeeding support program will support black mothers in Allegheny County with their breastfeeding efforts. Our Certified Lactation Counselors (CLCs) can provide support in-home, virtually, or by telephone triage. The support is provided 24/7, free of charge. We also accept prenatal referrals. For more information regarding HSCUB, view our downloadable flyer. Returning home from the post-delivery can be tough and overwhelming. Often mothers do not have the same support network upon returning home. In these early days, studies show that mothers are more likely to give up on nursing their babies and switch to formula alternatives to ease challenges they may face. Having on demand support to help assist you with your breastfeeding needs can be essential to the continuation of your breastfeeding journey. If you are in need of immediate support, please page our CLC on-call by calling 412.545.2022 and selecting option 1. For all other inquiries, please fill out our downloadable referral form and email to latch@hsipgh.org. Mothers may enroll up to two weeks postpartum to receive two weeks of support. Any mother enrolled in the LAtCH program will be assessed up to one year postpartum. Knowledge is key to having confidence in your breastfeeding decision. HSCUB offers classes both prenatally and postpartum to help instill self-assurance, self-confidence, and self-reliance in our participants. Meet with one of our CLC’s who will discuss breastfeeding basics, and breastfeeding in reality. You will learn about the various tips necessary to best prepare you for breastfeeding. The class content will cover breast anatomy, milk production, doula care, feeding schedules, common breastfeeding issues, knowing the signs of when get help postpartum, and building your tribe (setting healthy boundaries). You will leave this class understanding the cultural and historical background of breastfeeding in the US and abroad for black women. Postpartum class to discuss fun ways to create healthy relationships within the mother and baby dyad. This includes baby wearing, learning to create nursery rhymes, reading with baby, and exploring other family activities to do with your little one. There will be time to openly explore everyone’s breastfeeding goals and expectations and also navigating various breastfeeding and maternal resources. Learn how to balance returning to work and breastfeeding their little one as well as how to pump and milk storage requirements. Mothers will create pumping schedules for a sample work day and also explore what nursing is public is like. Participants will learn their workplace rights to breastfeeding and how to navigate their organizational policies. Learn major milestones for baby’s growth, weaning techniques, nursing baby with teeth, healthy meals and snacks for development. Participate in baby food making demo and receive fun recipes to take home for entire family! Troubleshoot common and no-so-common breastfeeding challenges along with learning toddler feeding and weaning your little one. Bring your little one to participate in yoga with you and also learn techniques to calm, soothe, and relax your baby. This class will only have four sessions total and dates will be confirmed starting Feb.
All classes and groups are held at Healthy Start at 400 N Lexington Avenue, Pittsburgh, PA 15208. Class dates and times vary by month. Learn more. 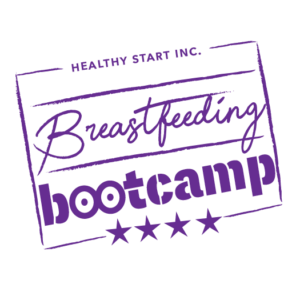 Click here to register for any class in the Breastfeeding Boot Camp Series. For all other classes and activities, please see the event page descriptions for more information about registering. Classes are $25 each. Register for all five classes for $100 and receive a complimentary t-shirt and onesie for your little one. 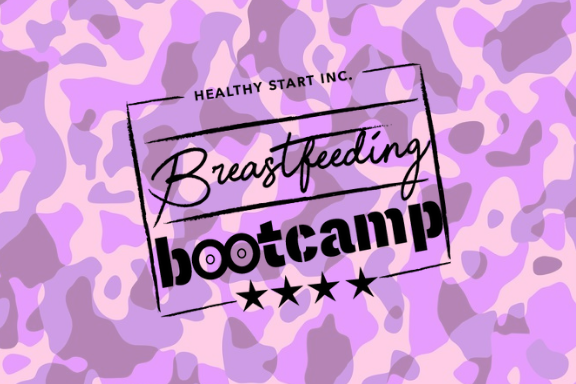 We can offer scholarships for the Breastfeeding Boot Camp Series to participants who meet income/family size requirements based on federal poverty guidelines. Please contact our program manager at 412.545.2022 to determine eligibility. HSCUB will provide monthly themed, weekly educational content and Breastfeeding Boot Camp education series. Stay tuned for more updates! Catch us on Facebook, Twitter and Instagram as we provide stories, data, helpful tips and debunk myths about breastfeeding. We’ll also highlight a few local moms and dads who will share from their personal experiences. All activities are free and open to the public.